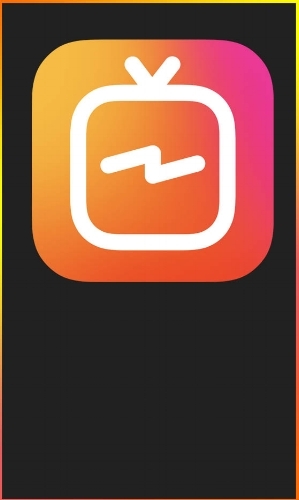 Yesterday Instagram launched their new IGTV service that will offer up to 1 hour videos available from any creator. The uniqueness of this launch is that it is targeted exclusively at mobile devices with a vertical only format for all videos. This presents both challenges and unique opportunities for the right brand applications. o why vertical? Look at your mobile phone. How are you holding it? Horizontally like a traditional television or vertically because it naturally sits in your hand much better that way? There's your answer. While our home televisions are growing exponentially in size to take advantage of ever more pixels (8k anyone? ), our phone and tablets are increasingly the way consumers digest the bulk of their video materials. Starting right out of the gate with an exclusive format means no more turning your phones sideways to see videos full screen, you're already looking full frame at everything. One of the challenges is that vertical frame. In horizontal widescreen there is plenty of room left and right for graphics, overlays and room to show the landscape. In vertical, you have almost no room left and right so when you have a featured person in the shot, well that person has to be pretty interesting and hold interest or your video is going to be pretty boring pretty quickly. The style of filming and editing are going to be even more important in vertical video than in traditional video. Once the novelty of full frame vertical video wears off (and it will wear off quickly) the audience will gravitate towards quality programming that holds their interest. A second challenge will be, "how do we actually shoot this project?" It's possible we could revert to the days when standard definition TV transitioned to HDTV where we would film to 'protect the 4x3 frame.' That is, we would keep all the primary action in the center of the screen so the main storyline would not be cut off when the show was cut down to the 4x3 frame size from the 16x9 widescreen original. So one strategy could be to shoot your video horizontally, then edit and deliver it both in vertical and horizontal formats. That gives you the most flexibility with your footage in the future though there are tradeoffs. This was filmed in 4k 16x9 widescreen, then edited for the IGTV 9x16 vertical frame. The unique opportunity for brands is the ability to deliver branding and storytelling near instantaneously to your audience. Months of prep, design and production go out the window when you can shoot, edit and deliver videos in minutes using your mobile device. In the hands of someone who understands video storytelling, that's the easy part. The tricky part is developing the right brand guidelines and brand story so all those 'instant videos' have a cohesive look and storylines to build your audience. I believe the right strategy to this new IGTV offering would be a multi-pronged approach with storytelling strategies developed around vertical only, horizontal only and hybrid vertical and horizontal. Some stories and storytelling techniques will work really well in vertical but no horizontal. Likewise, some storytelling will work really well in horizontal. So keeps those storylines unique to the two formats. One thing IGTV is not, is a competitor to YouTube. I've seen that thrown about in many articles, but I see the two as complimentary. YouTube presents traditional and vertical video delivered across most any streaming or mobile device. IGTV is limited to mobile devices and limited to vertical only. With the correct strategy, you could build and drive an audience to both platforms to create a fully engaged audience no matter where or how they watch your content.